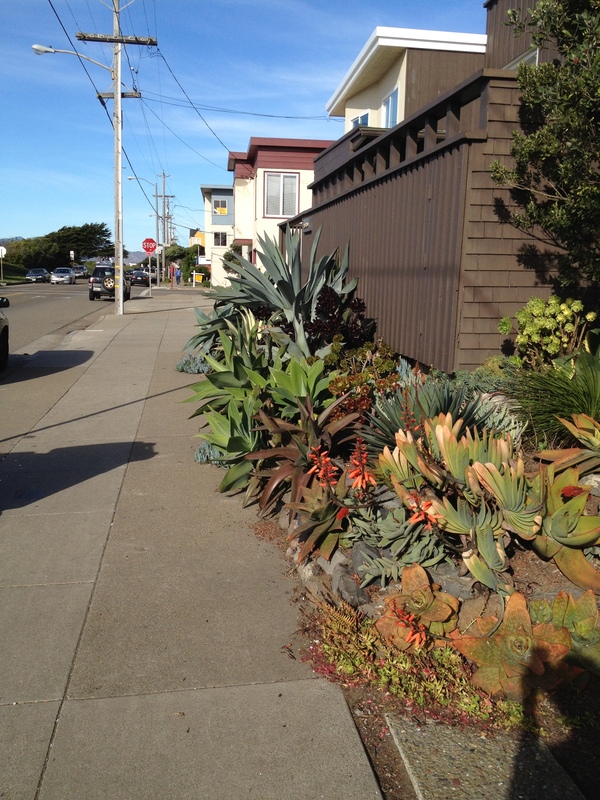 When people think of succulents, they often envision the scorching, sandy environment of the desert southwest. 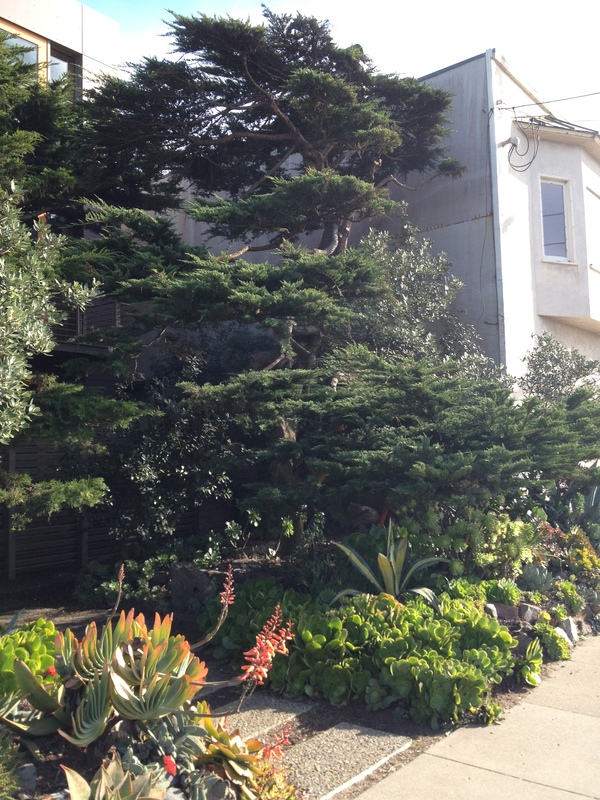 This garden, on the other hand, is adjacent to San Francisco’s Ocean Beach, famous for its swath of fog and salty air. 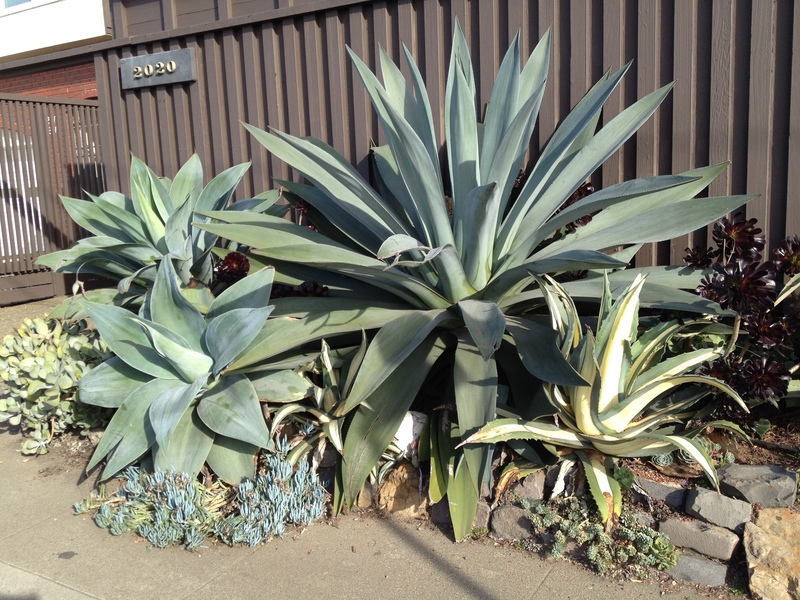 Though it utilizes almost 100 percent succulents, from agaves and aeoniums to fan aloes and cotyledons, nothing about this design really evokes images of New Mexico or rattlesnakes, to me at least. 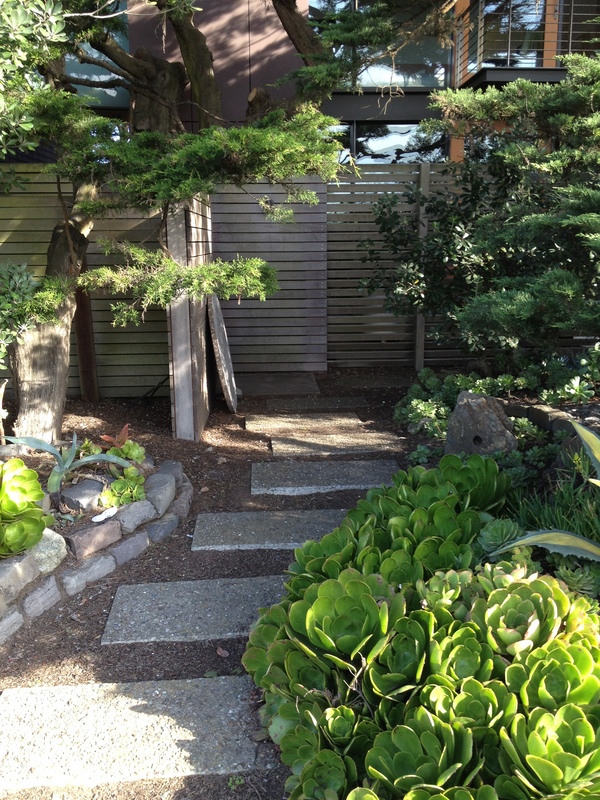 Perhaps it’s the addition of warm, dark wood, or the sculptural brush strokes of the cypress trees, which also serve to offer a touch of deep evergreen amidst the cool blues, silvers, and corals of the succulents.